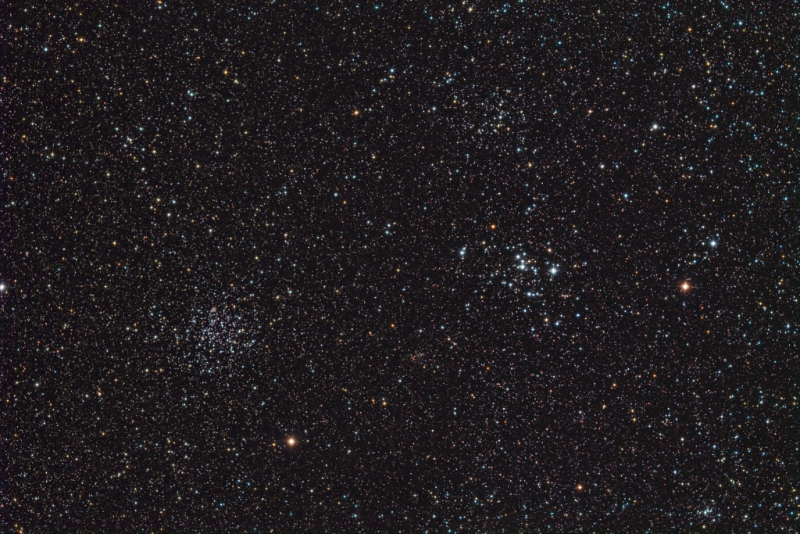 The Image of the Month for March 2013 is the recent mini-WASP array capture of M46 & M47, a lovely pair of open clusters in Puppis. I have wanted to grab this one since the winter constellations first started appearing at a decent hour back in December 2012 – but we simply haven’t had the weather. What I really like about this image is the Puppis Milky Way background – I just like clusters with Milky Way backgrounds I guess. 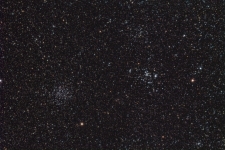 Taken using all 3 M26C one shot colour cameras on the mini-WASP array.